This information about windshield repair kits is provided to help you assess these products in relation to the repairs you need to complete on your vehicle and to allow you to make comparisons to other repair kits of a similar nature. Each of the repair kits covered by this guide is intended for specific types of repairs and under differing conditions. 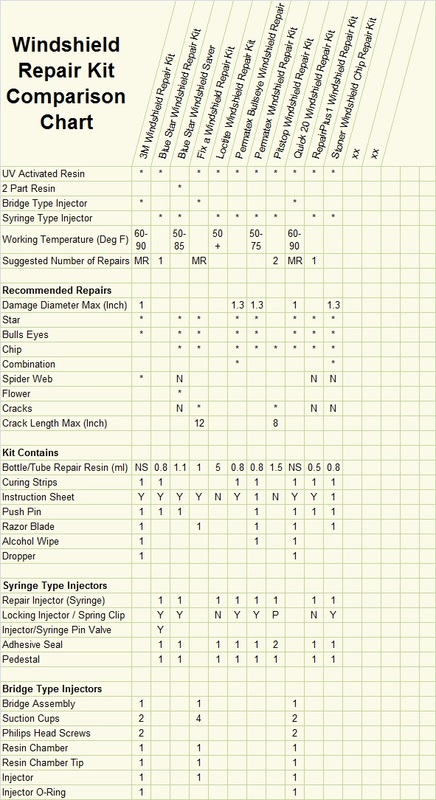 The chart below is provided to allow for an easy comparison of the differences in several of the available repair kits.